Clicker training is awesome. I can 100% vouch for that, because I see the results firsthand every day. But like all things, it can be a bad thing in the wrong hands. The bad reputation that clicker training has earned is due to the technique that uses a clicker, not because of the clicker itself. Just like the classic "the bit is not a weapon, it is the hand that wields it" or however those things go! Here is some information on how to keep clicker training a positive experience, and some stories about some struggles I've had to figure out. A lot of people think about trying out clicker training, but can't seem to figure out how to get started. Some don't even fully understand what clicker training really is, and I know it can be confusing. So let me break it down for you in this post! Something that we refer to a lot is transferring your cues to a new cue. What does this mean? How do you do it? It is really very simple! 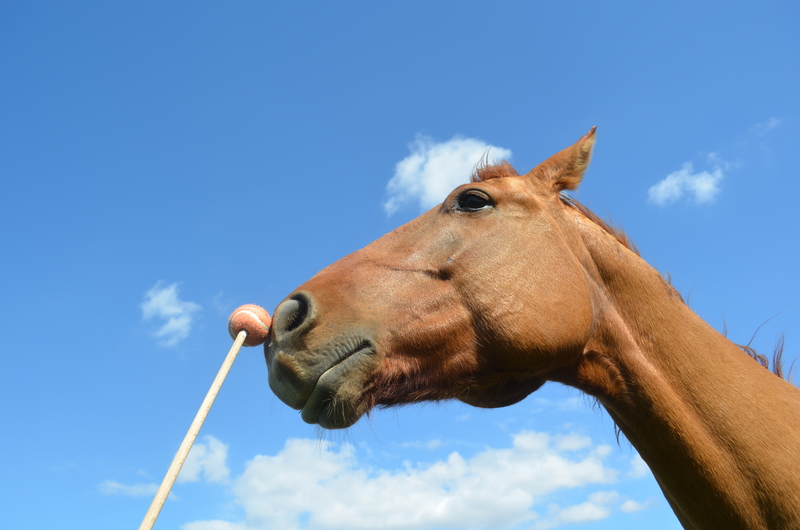 Some things are easier to teach with a direct physical motion as a cue, possibly involving touching your horse to cue a certain behavior or trick. But usually we want our horses to do these things from a more subtle cue. For example, for the trick where the horse shakes their head "no" it can be fun to teach your horse to shake their head when you shake your head. The easiest way to teach this trick however, is to tickle the hair right outside their ear. So how do you get from ear tickling to head shaking? Your brain is amazing. Did you know that each half of your brain thinks in a completely different way? The right hemisphere of your brain is the artist, the one that lives in the moment; all that exists is this precise moment. It’s the one that takes all of the sensory input, in the form of different energies, in from your environment, collects this inside of you, and combines it with your own internal energy.